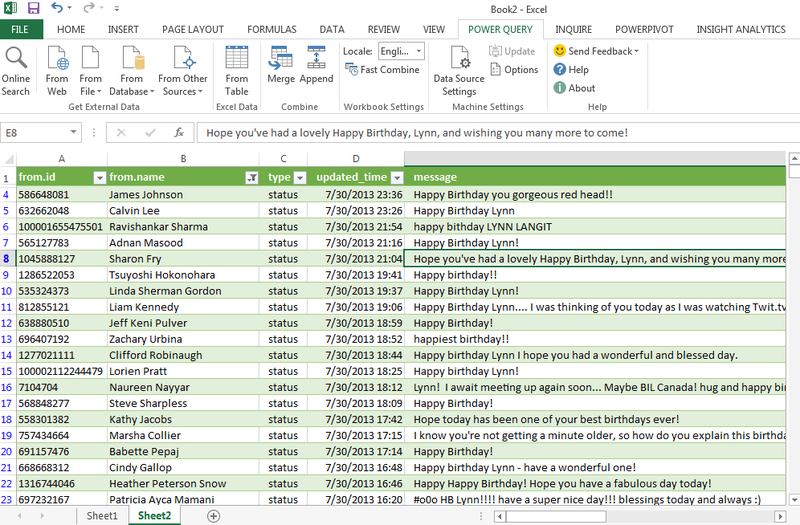 To help to visualize the many, wonderful birthday greetings I got from Facebook yesterday, I tried out using Power Query for Excel so that I could visualize the locations from which I got greetings. Other tools I used were LINQPad and the Facebook Developer’s Graph API Explorer tool. Below is a screenshot of the results and a screencast. Are you using Power Query? Share your feedback here.